It's been nearly a decade since the hobby has seen a full golf release. If it hadn't been for Tiger Woods, it'd probably have been much longer. 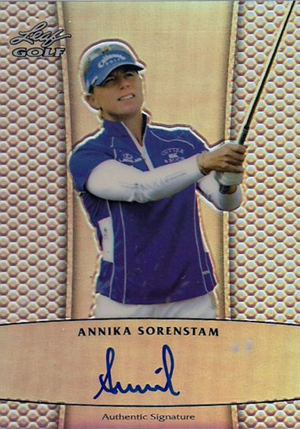 2012 Leaf Metal Golf is changing that, ironically, without Woods, who is an Upper Deck exclusive. 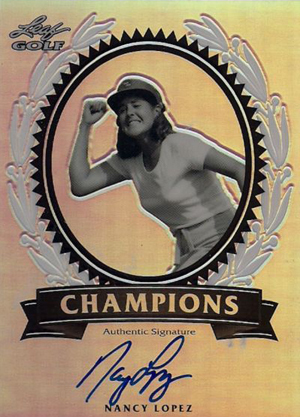 Boasting three autographs and two base cards per box, 2012 Leaf Metal Golf boasts such names as Jack Nicklaus, Annika Sorenstam, Arnold Palmer, Nick Faldo, Fred Couples, Sergio Garcia and Michelle Wie. 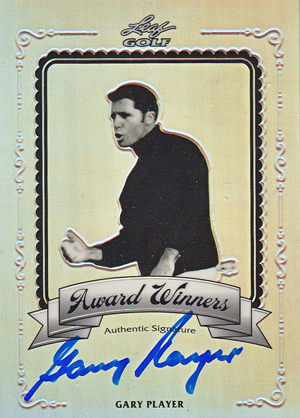 Collectors can chase prismatic parallels for both the base cards and autographed inserts. 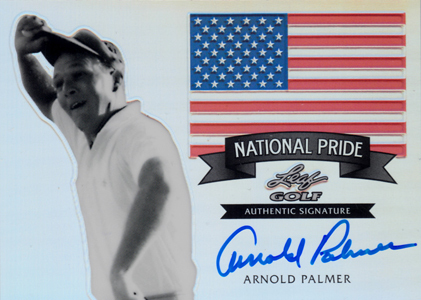 All signatures in the product are on-card. Confirmed short prints and print runs listed at end of checklists. Cards celebrate major accomplishments on the links. Numbered to 50. Focus solely on those who have been victorious at golf's Majors. Numbered to 50. No Tiger? 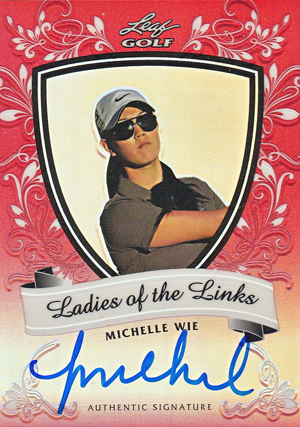 No top Asian LPGA players? Yes, you do have Jack and Arnie and Ben Crenshaw but the mix of current players is odd and incomplete. The biggest mystery in this set is the price. Way, way too high for the sport. 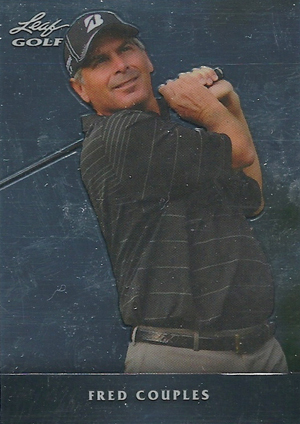 The best I can say for Leaf Golf is that there are some nice cards I will be able to pick up on eBay for a song. But $85 a box? No breaking for me! GREAT stuff! Nice clean oncard auto’s and super nice designs ala Exquisite stlye! Some great rookies too (Keegan, Johnson, Simpson, etc). I can’t say enough about this product. Fun to open, and you usually get your money back (see ebay)! To the poster above, Tiger is under contract with UD, so no one but UD will have Tigers auto. Also, there’s no Players Assccociation, so you have to sign on players individually. That makes it tought to get everyone onboard. There are even more problems I won’t mention here. That’s one reason why golf cards are on again off again. I opened one box and my three autos were Webb Simpson base auto, Fred Couples Champions Green Prismatic 17/25 and Arnold Palmer Super Prismatic 1/1. WOW!!!!! !